If you already have a water treatment or filtration system installed rely on us for all of you maintenance and repair needs. At Larry & Sons we have a team of highly skilled professionals who can handle your water treatment system’s repair and maintenance. Don’t wait until your system breaks down before calling us. We can schedule one of our plumbing technicians to come to your home, inspect your system and perform routine maintenance on your system. In many cases this type of relatively inexpensive visit can save you hundreds of dollars in repairs by fixing problems when they are small, rather than waiting until they become larger and actually cause a system failure. No matter how good the water coming into your water treatment system happens to be, the levels of minerals and other contaminants are going to eventually build up within the interior of your system. When you call Larry & Sons to handle all of your water treatment system’s repair and maintenance, our skilled experts will do everything in their power to help you avoid costly breakdowns. At Larry & Sons we provide water treatment systems repair and maintenance with our teams of highly skilled and trained technicians. They will come to your house armed with the latest training and equipment, so they can come in, diagnose the problem, and make the necessary repairs quickly and professionally. 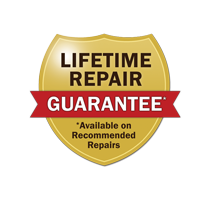 Once your system is repaired, we can put you on a regular routine maintenance schedule that can help to prevent the need for many of the more common repairs. Larry & Sons provides top quality water quality services in Hagerstown, Frederick, MD, and the surrounding area.